Shop Kill Cliff Drinks and Get Free Shipping! Kill Cliff was created by a former US Navy SEAL. The goal was to create a low calorie, recovery aid, that could be consumed on a daily basis while delivering key nutraceutical ingredients to help improve athletic performance and speed recovery. The product was created based on the theory that an integral part of enhancing sports performance is reducing inflammation. We observed that most recovery and sports performance products were only trying to do two things – artificially increase energy and replace depleted sugars and electrolytes. We recognized that these products were missing the fact that the real culprit for reduced performance and slowed recovery is inflammation. A really beneficial sports recovery drink needs the right blend of nutrients and anti-inflammatory ingredients, with a low calorie count, making it a suitable option for every day consumption. The result is Kill Cliff, an amazingly tasty, endurance and recovery drink that is good for you and isn’t laden with sugar. 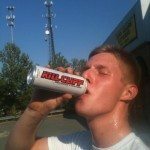 Where to buy Kill Cliff? 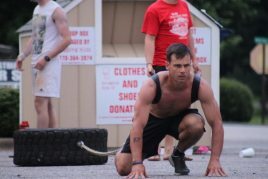 Personal fitness training from Brad McLeod, Navy Seal and CrossFit Level 1 instructor. Delivered online, directly to you. 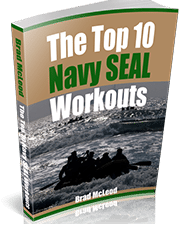 "I recommend Brad to anyone that seriously wants to go to BUDs or anything else in life... try these workouts. Hooyah!" - Chris H.